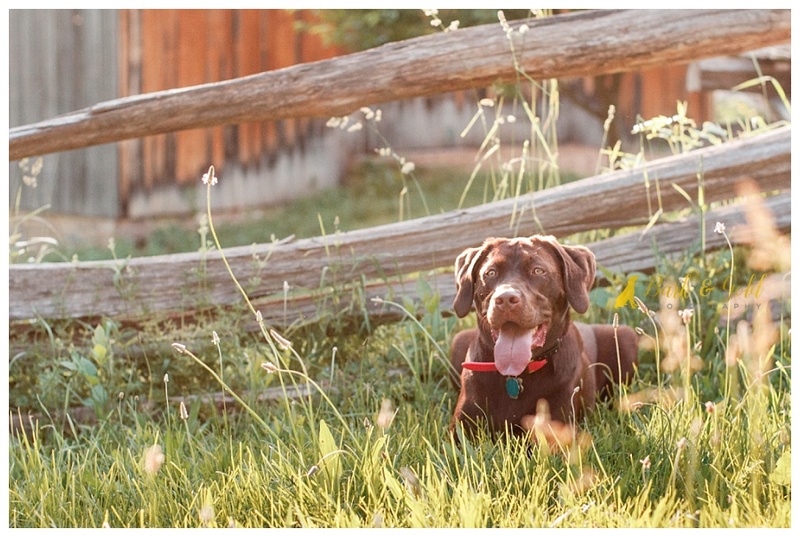 Sadie’s South Park session had everything I could have wished for on an early June evening: rich golden light, a rustic flair, and a truly charming chocolate lab, of course. When I asked about Sadie’s energy level, Allie described her as very energetic, adding “She loves to play and take walks. 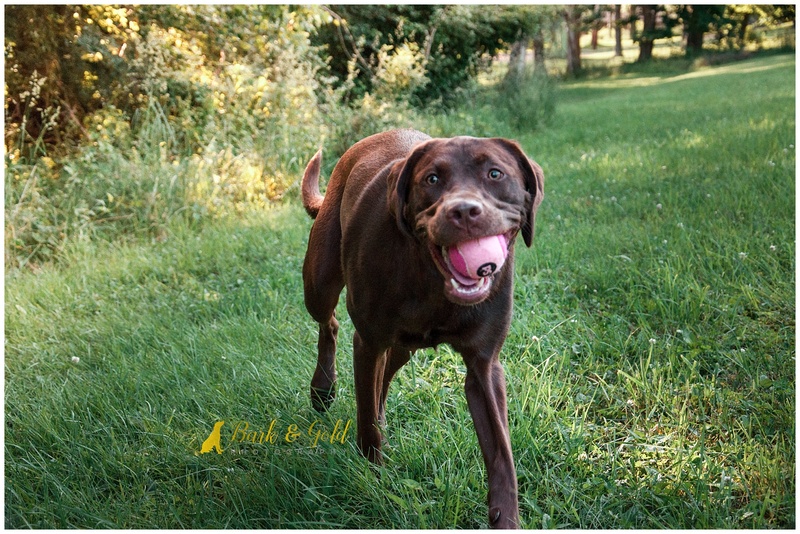 Any action shots would be great.” So that’s what we set out to capture and let me tell you: at just one-year-old, this chocolaty love bug lived up to Allie’s description! Before the sun set, the four of us headed for a small barn bordered by a rustic split-rail fence. 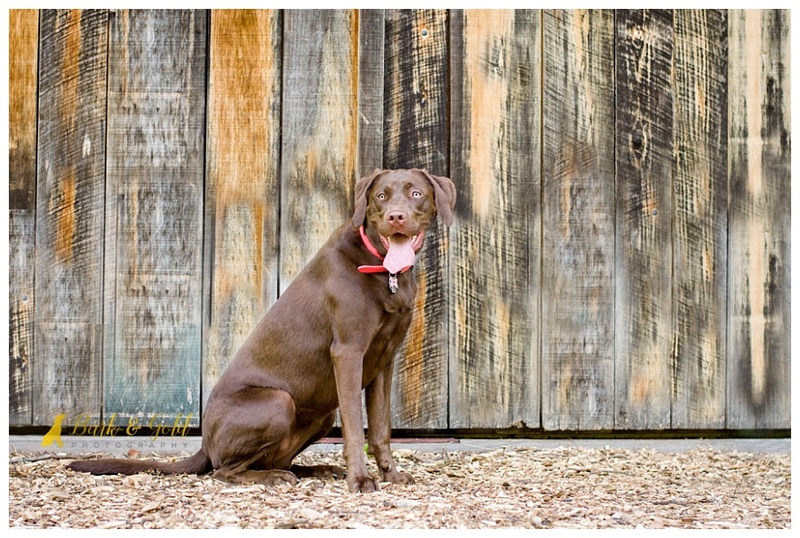 It was there that Louie spotted this fantastic timber backdrop and suggested a photo of Sadie in front of it. She posed like such a good girl for her daddy! Allie and Louie: Sadie is an amazing girl and I’m so happy to be able to provide you with beautiful memories of her that I know you’ll treasure forever!